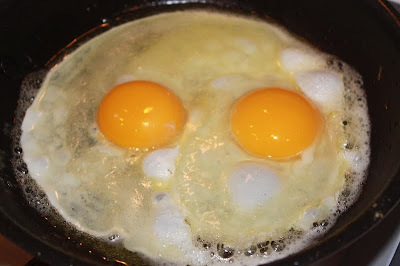 Some days, you just can't beat the tasty simplicity of eggs. I like Eggs Benedict quite a lot, but I rarely take the time to make hollandaise sauce. I also rarely remember to buy English muffins. Now, regular sliced bread is a staple so dropping a few slices in the toaster is a no-brainer. 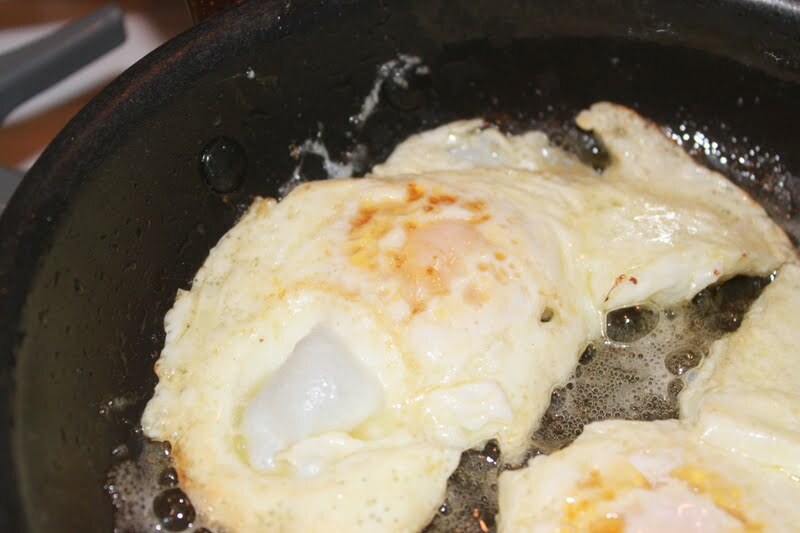 It only takes a couple minutes﻿ to fry two eggs and viola, you got something to eat. My hubby actually loves fried eggs over medium. My instructions below will yield eggs over medium. If you want runnier eggs, cook them about 10 seconds less. If you like them firm (think Egg McMuffin firm) it takes about 45 seconds. 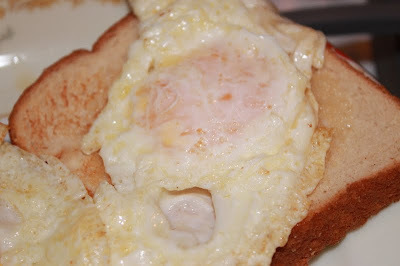 Eggs cook pretty fast, so there is a very small window between just right and cooked too much. One more thing, you can really use any frying pan you are comfortanble with, however, I always use a non-stick pan. I know uncoated pans work, but I have never had success with one. Probably because it takes a huge puddle of fat to keeps the eggs from sticking and then the whites get too brown for me. If you like it that way, then cool. It's just not the way I do it. I choose to use a combination of butter, for flavor, and olive oil, for its ability to keep things from sticking without imparting flavor. Salted or unsalted butter is up to you. I like both for different recipes. I usually happen to have salted butter open and available when I'm cooking eggs. Olive oil also has various health benefits, so it seems healthier than canola oil or vegetable (soy-based) oil. You could use just margarine if you're not concerned about all the trans-fat hoopla. I will say just one thing about margarine. I choose not to use it. I don't need to exacerbate any possibly inherited heart-health issues with more artery-clogging gunk. And what about "healthy" butter-like spreads? I don't use them. I figure foods with less processed ingredients are better for me than ones loaded with chemistry-derived compounds. 1. 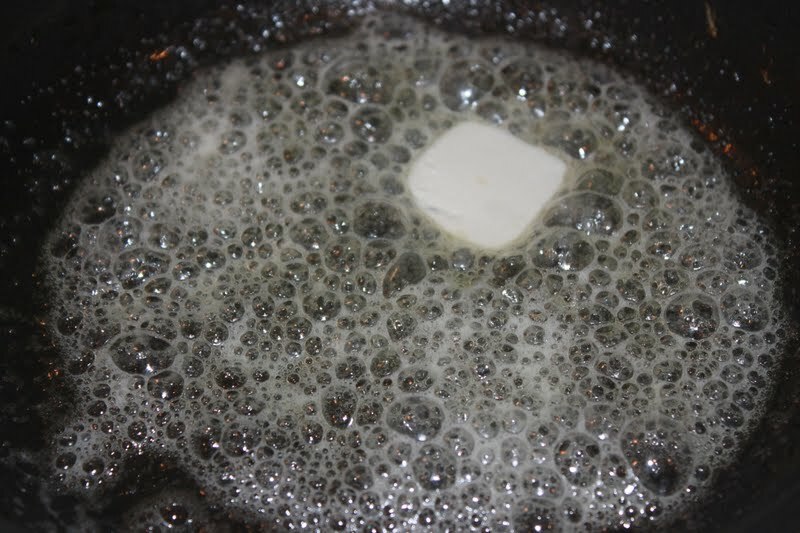 Using a small frying pan, about 7" across, add the butter and olive oil. Heat it over medium-high heat, swirling around to coat the pan, continue until the butter melts completely and bubbles. 2. 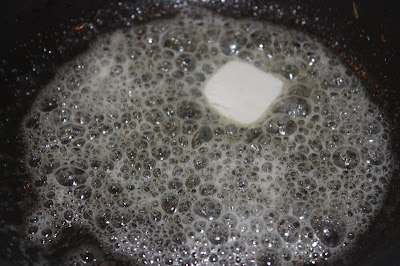 As the butter bubbles just subside, add the eggs. 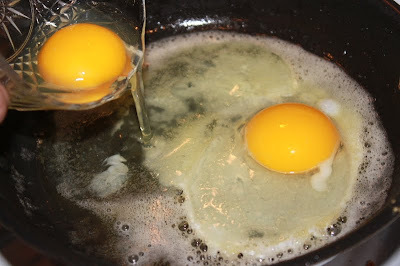 I usually break them into a bowl so I can slide them into the pan carefully to keep the yolks from breaking. Reduce heat to medium. Season with salt and pepper, if desired. 3. Fry uncovered until the whites are mostly set. Lift one edge to check the underside. It should be mostly white. Justin likes his eggs with no brown crispy edges or brown patches so they are still fairly soft and jiggly around the yolk at this point. 4. 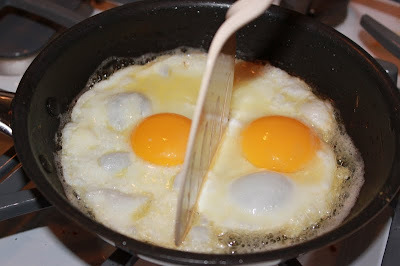 Using a spatula or turner, I cut down the center of the cooked eggs whites. Cut them so you don't break the yolks. Then I flip them over. Count to 10. Turn off the heat or lift the pan off. Count to 10 again and place the eggs on top of two slices of buttered toast. This will get you eggs "over medium". 5. Add one more slice of toast, this one cut into strips for dipping into the yolks. For a complete meal, add some fried potatoes, bacon or ham, and a little fruit salad.